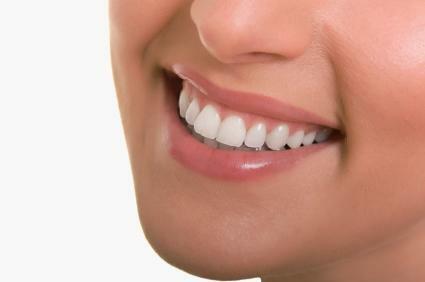 Teeth extractions are not always the best answer to teeth related maladies. Sometimes there is an infection in the dental pulp area. However, this can be treated with antibiotics, if it is caught in an early stage. Or there can be cracks in the tooth or teeth. This too can be taken care of with capping, crowning et al. Extracting a tooth should be the last and final step when all else fails. For a tooth which is inflamed or infected, one can go in for root canal treatment, also called endodontic treatment. In this, the inside or the root of the tooth is reached into. The infected pulp, which is a mass of nerves, blood vessels, and cellular tissue is removed. The pulp cavity is cleared up of all infection by using a disinfectant. This is then filled up with a material like gutta-percha. The cavity is sealed off from the outside environs by cement. Atop this, sometimes, if required a dental crown can be placed. This is when the tooth if damaged or cracked or broken. These are artificial teeth. A dentist first takes the impression of the existing teeth and gums. Then he sends this to the dental laboratory where they manufacture the artificial tooth or teeth. These are then placed onto the gum. With time, dentures can become loose as well. Thus, they have to be replaced after every five to seven years. It is necessary to take good care of the dentures. These are not worn at night. They are placed in a container of with a solution into which a cleansing tablet is added. Also, they need to be brushed with a brush with soft bristles. Also, a person should not eat sticky or hard foods with dentures, or they may even crack. This is a more exhaustive type of treatment as compared with dentures. In this, the tooth or teeth are extracted out. Also, dental implants are the way to get your original smile and the manner of eating and talking back. A dental implant, which is a titanium screw is inserted into the jaw bone. The jaw bone grows around the dental implant naturally within three to four months. After this, a dental crown is placed atop the titanium screw, and this is how the tooth or teeth appear to the world. Dental implants need periodic adjustments for which the patient has to visit the dentist on a regular basis. If taken care of well and proper, dental implants can last the entire lifetime of the patient. However, maintaining good oral hygiene is very important. These implants should be cleaned at least twice each day. Also, the patient should try to rinse the mouth area each time after eating. This is if he or she is not brushing after each meal. For more details contact : Polaris Dental Care, 2023 Polaris Parkway, Columbus OH 43240. Call : (614) 758-6522.